This post was sponsored by Tai Pei and all opinions expressed in my post are my own. 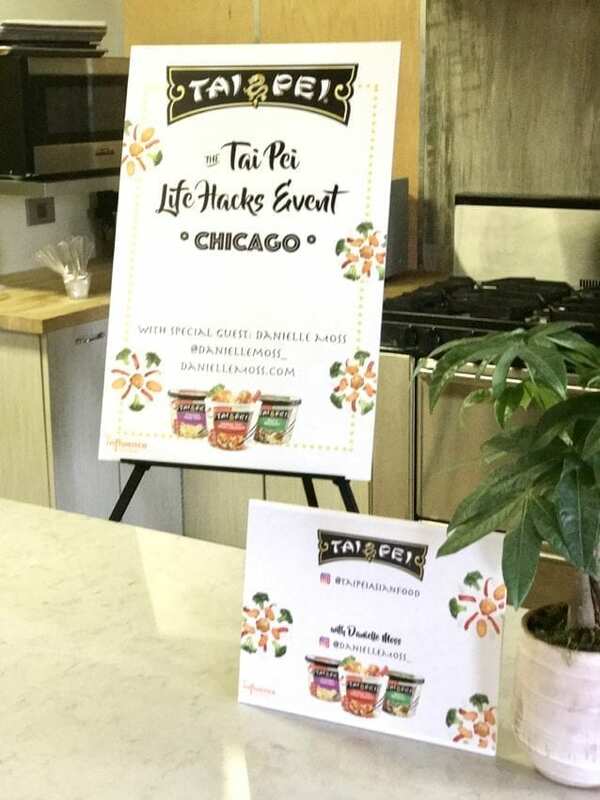 Last week I was invited to attend a tasting and life hack event sponsored by Tai Pei Asian Foods with guest blogger Danielle Moss. 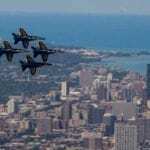 I more than welcomed the idea when I found out the itinerary included wine, appetizers, entree sampling, advice on how to simplify my life and a night out without the kids. Danielle Moss is one of the co-founders of The Everygirl. It was a pleasure to listen to her hacks on how to make life a little easier. In addition to the delicious foods this was the highlight of my night. I am always looking for a way to save time because as a full-time working mom I could use a few tips. There were a few of her hacks that caught my attention and I can incorporate into my life immediately. Clean your house 10-15 minutes a day: Danielle talked about when you take the time to clean the house a little each day, you are faced with a mess when the weekend comes around. Using this method, you aren’t spending your entire weekend cleaning, running errands, and cooking and when you look up the entire weekend has passed you by. I have to admit finding to 10-15 minutes to clean each day may seem hard initially for a working mom, but lets put in perspective that we can clean the small things at least in increments of 5 minutes per day. For example if you are in the bathroom you can clean the toilet and shower each day quickly and wipe down the kitchen counters so those don’t get too messy by the week’s end. This was my favorite hack. Turn off phone (unplug): Finding time that is yours and uninterrupted. She recommended turning off your phone, not checking your email and putting in a room other than your bedroom. One of the bloggers even suggested placing it on “do not disturbed” at a certain time. Wardrobe Capsule: Danielle suggested limited your wardrobe to only a few key pieces and neutral colors so you aren’t overwhelmed with choices. It also saves you time when you are looking for things to wear, shopping or packing for a trip. I like this idea and may incorporate it for the fall and winter, but I am not 100% sold. Have you ever tried it? Can you incorporate any of these hacks into your lifestyle? The evening started with appetizers, wine and mingling with fellow bloggers from around Chicagoland. The food was very tasty. We are a busy family of four. Between myself and my husband we strive to give our kids a home cooked meal every evening. Tai Pei entrees is unique as all the entrees and appetizers are made of real and pure ingredients, which is something that is important to us. The new packaging makes it convenient to pop the frozen meals in microwave, heat for 4 minutes and serve. 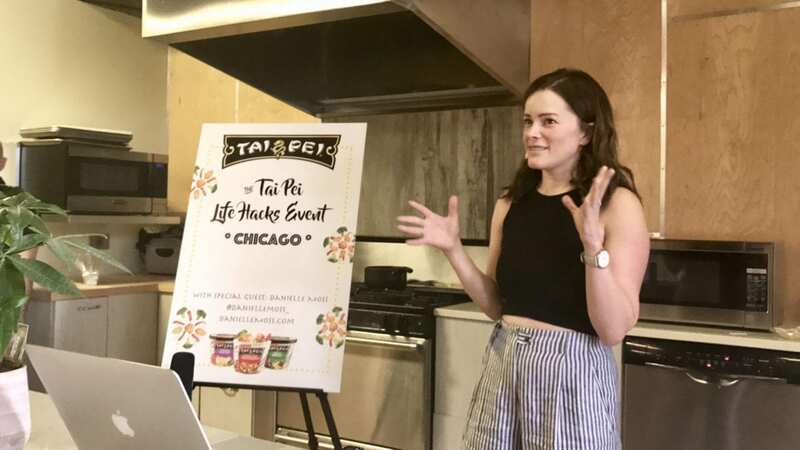 Tai Pei Foods have placed so much care into their meals, that from microwave to plate you can taste the freshness in every bite. There are several different flavors to choose from, there is something for the entire family. I was most impressed with this being a frozen meal that your family won’t noticed the difference because the taste is so good. If you are an on the go family like us, this is one product I recommend adding to your fridge for those times when you want to take the night off. So why not take a night off and enjoy time with your family! Try Tai Pei Foods at in your frozen section & save a $1 off!